Nancy Mehl lives in Festus, Missouri, with her husband, Norman, and her very active puggle, Watson. She’s authored eighteen books and is currently at work on a new series for Bethany House Publishing. The first book in her Finding Sanctuary series, “Gathering Shadows” was released on May 6th. 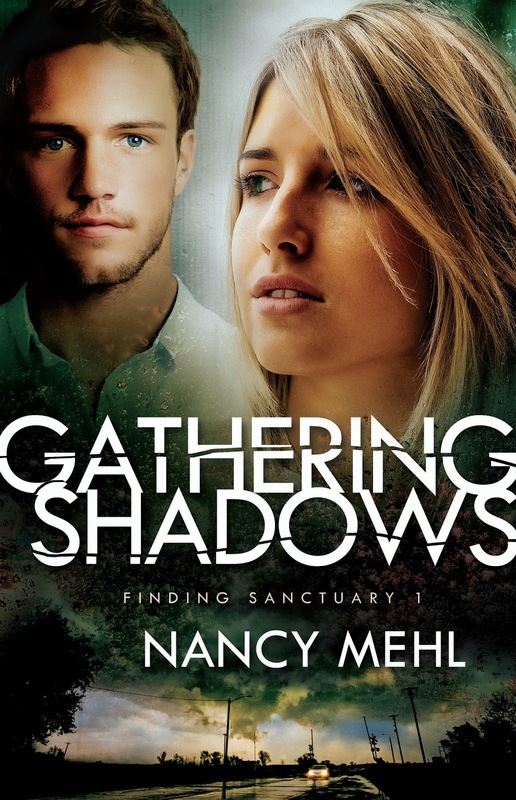 GATHERING SHADOWS is the first book in my Finding Sanctuary Series. It will be followed by DEADLY ECHOES in February, and the third book later in 2015. Here's a peek at Gathering Shadows. To win a copy, leave a comment, along with your contact info, and I'll draw a winner next week. He observed the youngster ride his bike to the end of the block where the street dead-ended. Then, after looking around carefully, the man slowly drove his car over to where the boy stood, staring at something on the ground. He parked a few yards away and watched as the boy wiped tears off his face. The boy stood up straight and stared wide-eyed at the man, his expression guarded. He blinked furiously, obviously not wanting the man to know he’d been crying. The man nodded. “That’s Sadie. She recently had puppies, and one of them is missing. I wonder if you’ve seen it?” The man reached over to the passenger seat and grabbed a photo. “Here’s a picture of Waggles. He got out this morning. I’d sure hate for him to get run over. He’s just a little thing.” He held the picture out. Ryan nudged the kickstand on his bike down and approached the car. The boy came up even nearer to the car. “Sure,” Ryan said. He glanced back once at his new blue racing bike as he ran around the car and got into the passenger seat. An hour later, Ryan’s father found the bike. I fingered through the photos once again. They showed people riding in buggies. Most of the men wore hats while the older women had some kind of head covering. I couldn’t stop my fingers from trembling. “Are you sure you’re okay?” Megan asked again, her voice tinged with worry. Her dark eyes sought mine. “The flu’s going around. Maybe you’ve got it.” She pushed her chair back a bit, causing me to smile. I didn’t respond because there really wasn’t anything to say. According to a friend at another station in town, new owners could be a blessing – or a curse. Usually, the latter turned out to be true. Corporate hotshots, convinced they knew more than anyone else, loved to clear the deck and “bring new excitement” to existing television stations. Many times, the best people were lost in the shuffle, while new, inexperienced reporters and on-air personalities drove loyal viewers to a competing station. It had already happened twice at KDSM before I was hired. I was hopeful this transition would be smooth. “Maybe.” I returned her smile. “I’m hoping this idea will turn out to be interesting enough for Ed to sign off on. With a little luck it could end up being a franchise. You know, like John Lewis’s People of Missouri.” John Lewis, a reporter at KJML, another station in St. Louis, had vaulted himself into an anchor position after putting together a weekly piece about unique people who lived in our state. Although I enjoyed my job as a reporter, I secretly hoped this story would move me up too. Like John, more than anything, I wanted to sit in the anchor chair. “I’m sure it’s not suitable for prime time,” Megan quipped. “That’s what friends are for.” She got up left the conference room, slowly closing the door behind her. Her words echoed in my mind. Were we really friends? I guess she was closer to me than most of the people in my life. I tried hard to keep a distance between me and my coworkers. Working at a television station was a competitive situation at best. Everyone fought for their spot, and no one, including me, ever felt safe. I’d started at KDSM as an intern while still in college. I was excited to be officially hired right after graduation. Including my internship, I’d spent almost three years at the station. Maybe it wasn’t one of the largest stations in St. Louis, but they had a good reputation and several successful anchors at the big stations had been hired from here. Megan Parsons, a production assistant, had been friendly from my very first day. We had a lot in common. We were both twenty-three, and we both came from broken homes. Like me, Megan was raised in church, although I’d stopped going when I was a teenager. 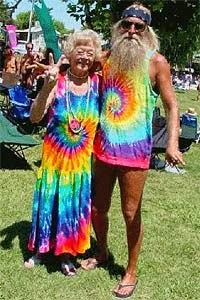 Our biggest differences were in our appearance. Megan’s dark skin, eyes and hair were an antithesis to my pale complexion and light blonde hair. Realizing I’d allowed my mind to wander, I pushed worries about my job away and pulled out the picture that had sent shockwaves through me. I stared at the face of the young boy caught by the camera as he rode past in a buggy. It was clear from his shocked expression that he wasn’t expecting to have his picture taken. I could feel my heart beat faster, and I found it difficult to catch my breath. The features were so familiar. Could it be him? Was I just seeing what I wanted to see? Ryan was seven when he was taken. There was something about the eyes – and the hair. The boy wore a black, wide-brimmed hat that had been pushed back on his head. His widow’s peak was clearly visible. Just like Ryan’s. Ed Grant, KDSM’s news director, strode into the room, and I quickly pushed the picture underneath my notebook. He sighed as he lowered his massive body into the chair across from mine. The chair squeaked under the pressure, and as he scooted into place, sounds emanated from underneath him that I prayed came from sliding across the leather seat. “I’m not convinced this is newsworthy, but Leon says we need more stories with local interest. Our new owners are pushing for it. I guess this idea is as good as any other.” He sighed again, obviously not happy dealing with a new corporate entity. Ed’s job at KDSM was tenative, as was our general manager’s. Leon Shook was a great GM, and no one wanted to see him leave. But in a previous shake up, the news director and the general manager had been the first to go. What we could get in their places worried everyone. I cleared my throat, trying to quell my nervousness as I pushed some of the pictures Megan had given me across the table. I sat back in my chair, hoping it wouldn’t make the embarrassing sounds that had come from Ed earlier. Since I only weighed a third of Ed’s three-hundred pounds, thankfully, there was only silence. I was greeted with a cold stare followed by a shrug. Actually, from Ed, that was a sign of unmitigated approval. July was a minor sweeps month. Not as important as February, May or November, but I had to take what I could get. Although I wanted to point out that it was really only nine days, I didn’t dare criticize Ed’s math abilities. Arguing with him was a mistake. In his present frame of mind, it could cost me this opportunity. I didn’t say another word, just nodded my agreement. As the door swung closed behind him, I gazed once again at the picture of the teenage boy. Nine days with a photographer tagging along. Was I chasing shadows? Or had my parents and I quit too soon? Was Ryan still alive? Had I actually found my brother? For your chance to win a copy of Gathering Shadows, leave a comment, along with your contact information.